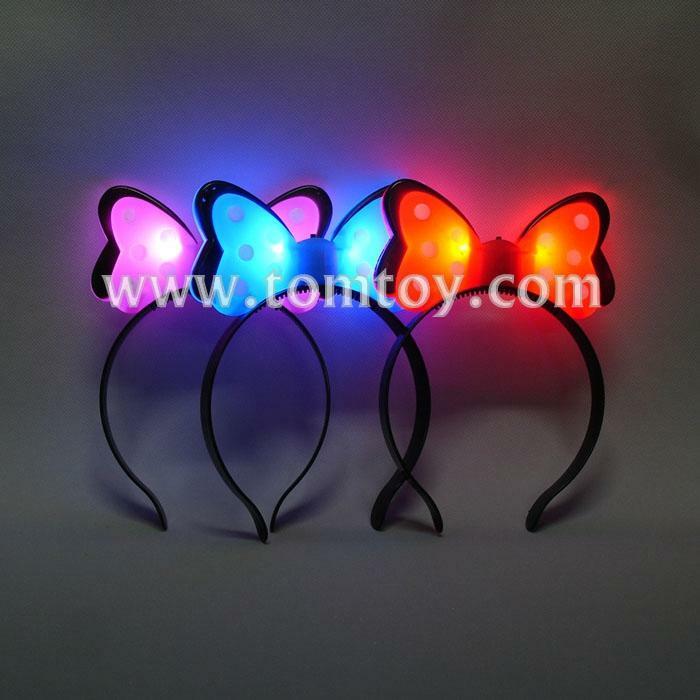 1.Go for a classic look with the LED Hair Bow Bopper. Sure to be the key to having a great hair day, whether you're male or female. 2.Each headband features 4 white LEDs. 3.Four flash mode：fast flash-slow flash-steady-off. 4.Please pull up the white insulation sheets before you use it the first time.